State power as brainwashing biopolitics, not just for the populace but for its own agents. 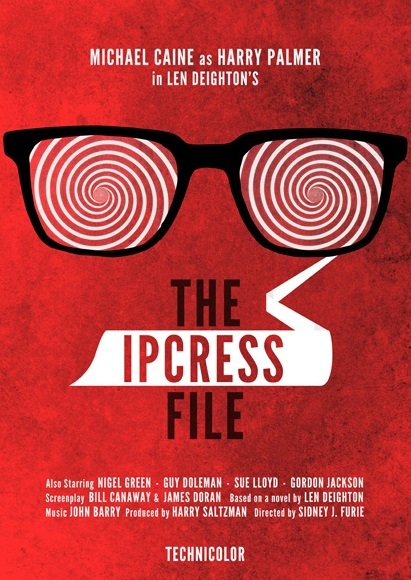 The Ipcress File is the Brazil of spy movies. Secret agent Harry Palmer spends the majority of his time filling out paperwork, being told to fill out paperwork, or devising ways to avoid filling out paperwork. There are T-104’s, B-104’s, B-107’s, T-108’s, L-101’s, and, most importantly, TX-832’s. Espionage isn’t all fancy cars and big explosions. This focus on the tedium and the pure, unadulterated mundanity of everyday espionage work deglamorizes the profession, but it also interrogates the bureaucracy of these overstuffed government agencies and the way they take advantage of their agents and the countries they oversee. 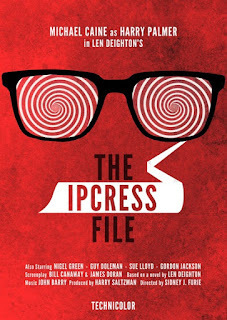 For a movie directed by the man behind movies with such amazing titles as The Snake Woman and Doctor Blood’s Coffin, The Ipcress File looks absolutely stunning. Every single shot has something interesting going on in it, whether it's the low or jaunty angles, the penetrating deep focus, the rich Technicolor, the meticulous montages, or the intelligently obstructed framing. Each composition is as careful, diligent, and scrupulous as the spies themselves. For every T-104 or L-101, there’s a correspondingly subtle crooked angle shot. And this isn't just beautiful photography, it's a direct representation of the instability inherent to the life of a spy. A crooked camera for a crooked lifestyle. Must-see material for espionage fans.